We are made of dreams. Our lives are made of moments . 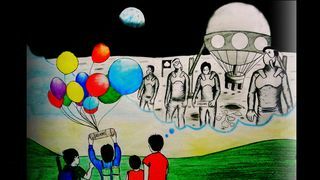 Why not travel to the moon while we live ?